This documentation will explain how to use our Zapier integration to create a Zap and send your entry data to any app supported by Zapier. 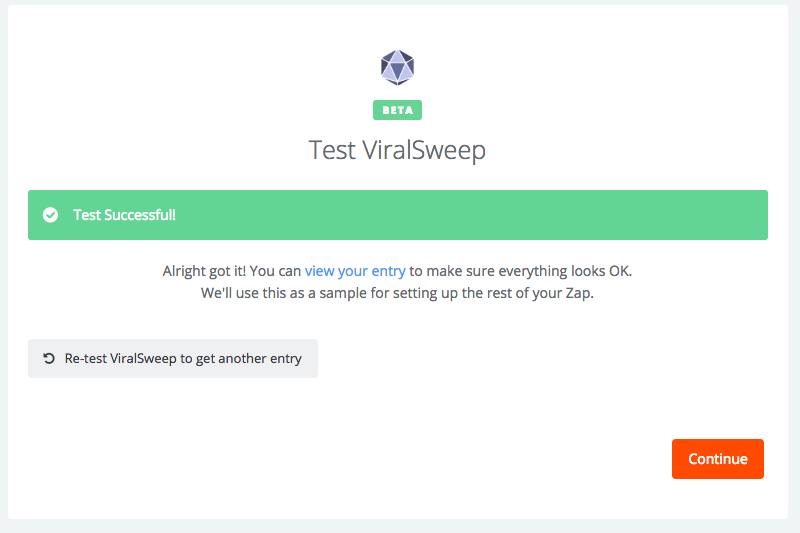 Create a new sweepstakes within ViralSweep, then on the left side click 'Tracking & Integrations' and then click on Integrations. Click on Zapier. Copy your API key and Promotion ID that we provide you with. Login to your Zapier account and make a new Zap. Type ViralSweep in the search box and choose the app. 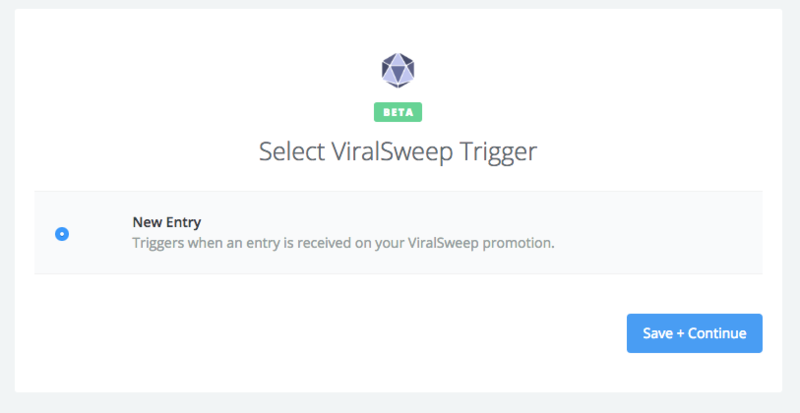 The ViralSweep trigger will be preselected as New Entry. Simply click the continue button. Click the Connect a New Account button (or use an account already available in the list). Input your API Key and Promotion ID. Once the account is connected, click continue. Click the Connect & Continue button to test the trigger. ViralSweep will attempt to grab your most recent entry into the promotion if there is one. 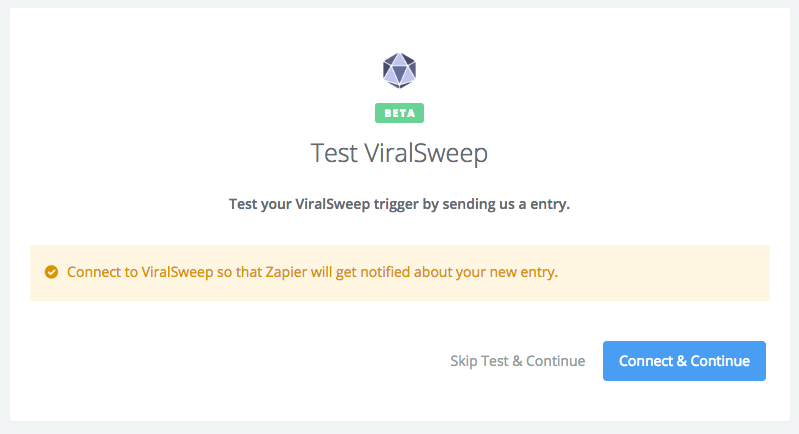 If there is not an entry, simply make a test entry into your promotion through Viralsweep, and then click Connect & Continue and Zapier will grab that test entry. Next you need to choose which app you want to send your ViralSweep entry data to. 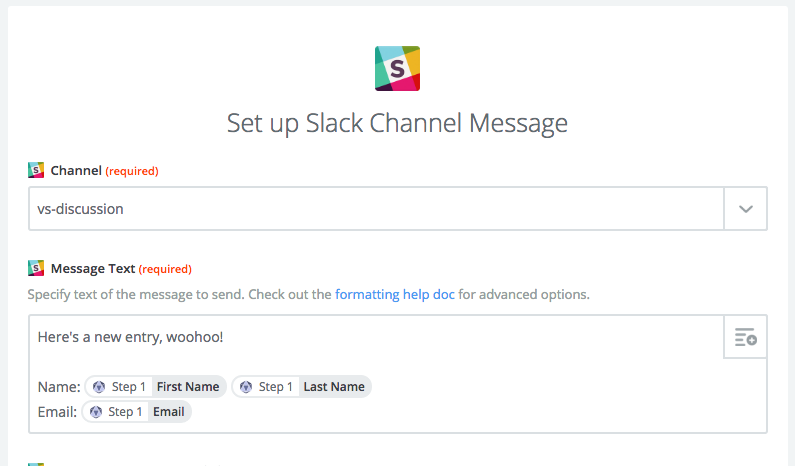 There are hundreds of apps that Zapier supports so we cannot show you all of the possibilities, but for the sake of this documentation, we'll connect with Slack. We're going to configure this to send us our new entry data inside of a specific Slack channel, so every time someone enters our sweepstakes, we get notified. 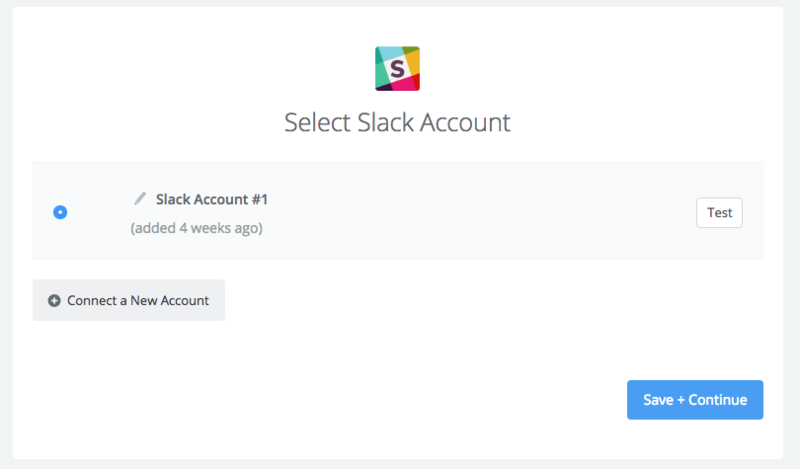 Next, connect your Slack account. 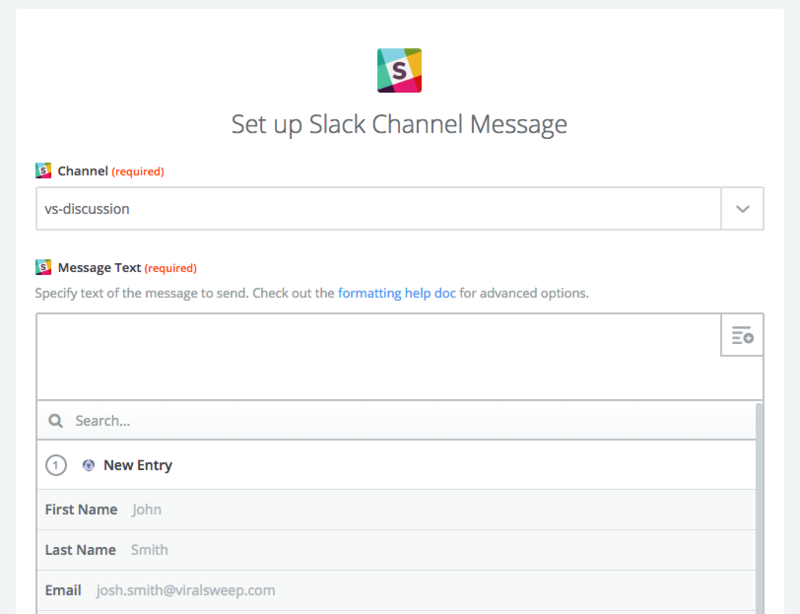 Next, pick a channel within Slack to send the entry data to. Then under message text, we'll configure which data we want to send by clicking the menu on the right hand side. For this example, we're going to choose first name, last name, and email address. ViralSweep supports sending phone, state, zip, country, IP address, entry time stamp, referral link, promotion ID, and referral source as well. 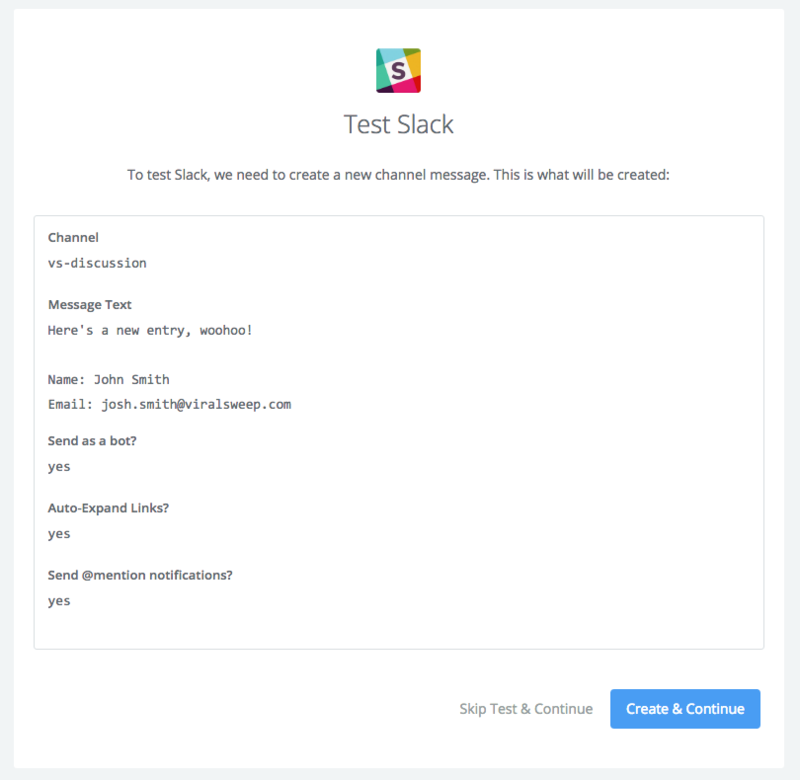 Once you are done configuring, you will need to test Slack. 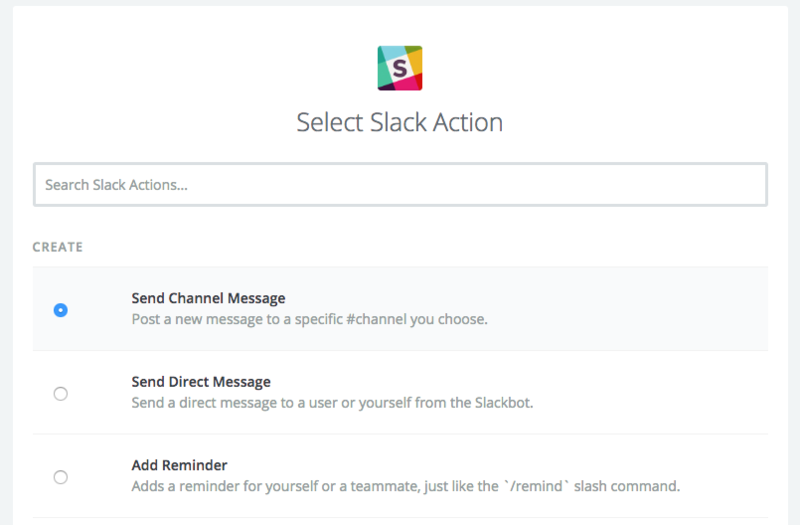 Simply click Create & Continue, and the test data will be posted to the Slack channel that you chose. That's it, you're done! Make sure to turn your Zap on and now all entry data will be sent into Slack. The awesome benefit of Zapier is that if ViralSweep doesn't integrate directly with a service you use, it's more than likely that Zapier already does. 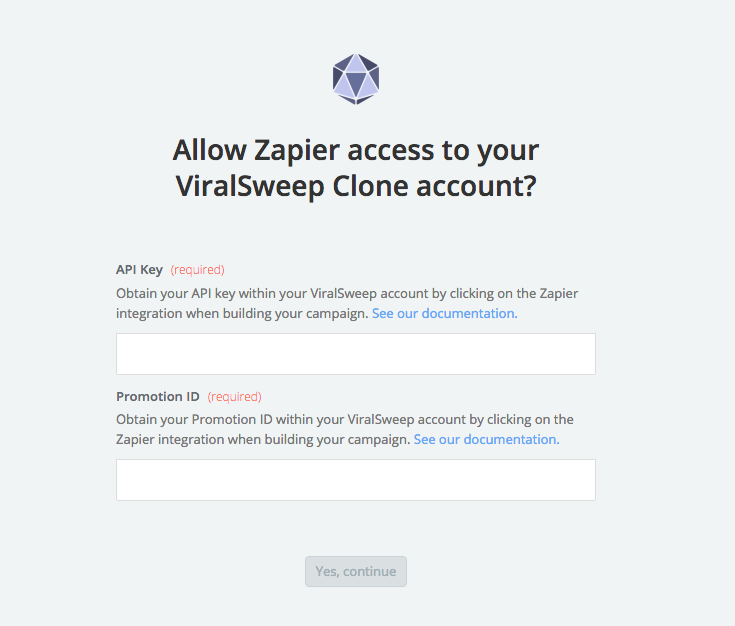 The best use case here is if we don't integrate with your email service provider, you can most likely still connect Viralsweep to them through Zapier. Still having trouble with the Zapier integration? Simply click the support or live chat icon to get in touch with us.